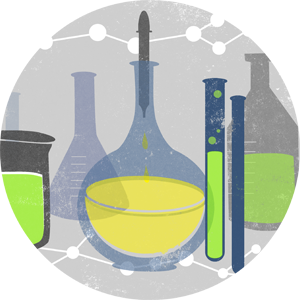 The Department of Chemistry at the University of Kentucky offers a variety of research and training experiences that allow students to explore projects in fields in biological, environmental, and materials chemistry. Our program is designed that students take coursework to develop a core expertise while taking special topics in areas of interest. Our collaborative research groups provide students with opportunities to have diverse experiences, both in their primary advisor's research laboratories but also in others at UK and at our partner institutions. Further training outside of research includes programs in preparing students for faculty positions as well as exposure and training in entrepreneurial ventures. Several groups have received patents for inventions developed at UK, many of which have been licensed by outside companies and others of which have been the basis for start-up companies formed at UK. Last but not least, the welcoming atmosphere in our department provides students with an environment not only for teaching, learning, and research, but also to develop lifelong friendships. Full assistantships (which include a competitive stipend of $24,000/year, full tuition scholarship, and fully paid health insurance) are offered to all new students admitted to the PhD program. 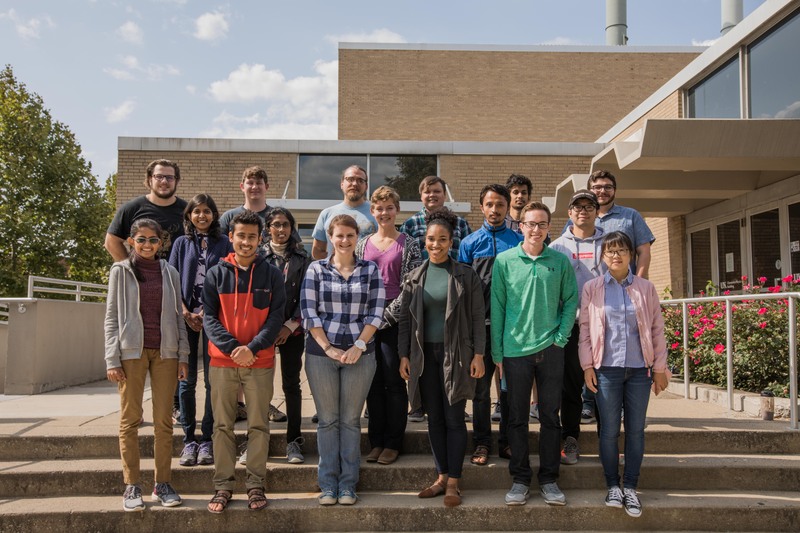 Our department has 28 research groups, which house state-of-the-art instrumentation, and there many opportunities for collaborative research and co-advisement. Our research groups have close ties with national laboratories including Oak Ridge National Laboratory, Argonne National Laboratory, Pacific Northwest National Laboratory, and the Army Research Laboratory, as well as academic instittuions including Massachusetts Institute of Technology, Wake Forest University, Harvard University, the University of Utah, and the University of Michigan. Many of our students spend time at these partner institutions to receive training and conduct experiments. Our shared facilities include a Nuclear Magnetic Resonance Center that houses 5 NMR spectrometers (400 - 600 MHz, the newest one acquired in 2018), a single crystal X-ray diffraction facility with two diffractometers (newest one acquired in 2017), an Electron Paramagnetic Resonance Facility, a Mass Spectrometry Center, a Light Microscopy Core, Electron Microscopy Center that includes SEM and TEM instruments including a new (2018) Talos 200x TEM, a Center for Advanced Materials, and the Center for Nanoscale Science and Engineering. Our primary research building (Chemistry-Physics Building) houses a machine shop, glass blower, and electronics shop. is in the center of horse country and bourbon country! has a relatively low cost of living is relatively low, making your stipend go farther. is ranked the 10th most educated U.S. city based on college eduation rates. Our admissions committee uses some unofficial lower score limits when evaluating applications. These are not set in stone, and therefore, a score lower than one of these limits does not automatically disqualify an application if other parts of the application are strong. Other important parts of the application include recommendation letters or publications, research/teaching experience, or examples of problem-solving abilities. *If you are unsure whether TOEFL/IELTS scores are required for your application, please contact our Graduate School Admissions Officer, Maureen Barker (maureen.barker@uky.edu). The minimums listed above are used by department's Admission Committee. However, the Graduate School at UK also has required minimums including an undergraduate GPA of 2.75 and a 3.00 for any graduate work. Please visit their admissions page for more information. If you are unsure whether TOEFL/IETLS scores are required for your application, please contact our Graduate School Admissions Officer, Maureen Barker (maureen.barker@uky.edu). It is possible to upload additional information to the ApplyYourself website like writing samples. However, that information is not required, and it is not reviewed by our Admissions Committee. To request an application fee waiver, please send your GPA, GRE scores and percentiles, and a summary of your previous research and/or work experience to the Director of Graduate Recruiting (dgr.chemistry@uky.edu) prior to submitting the application. Fall Applicants: Primary consideration will be given to applications received by January 15th. While applications may be considered after that time, most admissions decisions are made by the end of March. Spring Applicants: We no longer accept Spring applications; however, we are able to defer an application for Spring admission on a case-by-case basis. If you have questions about our program, or if would like to schedule a campus visit, please email the Director of Graduate Recruiting at dgr.chemistry@uky.edu.